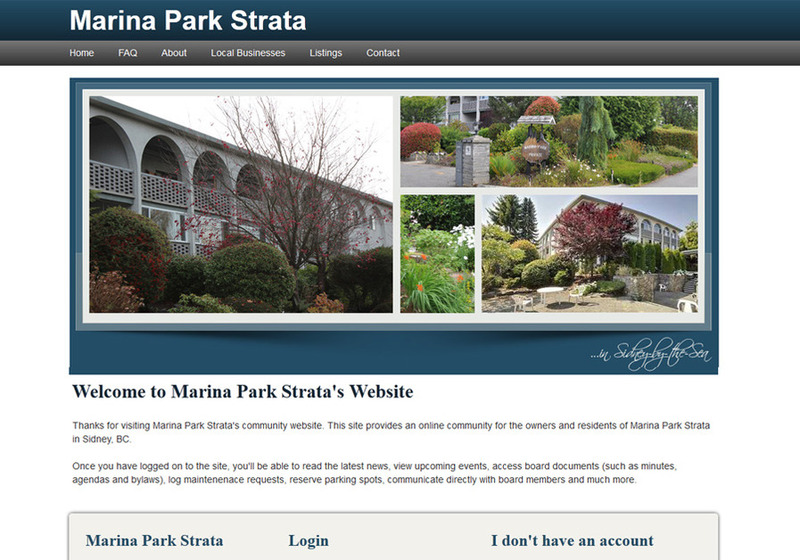 At eStrata, we build websites and web applications - primarily for condo boards and homeowner associations. We care about our clients and are proud each time one of our client brags about our awesome customer service. We keep our sites affordable by focusing on a the homeowner market and by using a great Ruby-on-Rails system that allows us to build high quality sites quickly. If you have a project in mind, give us a call; we'd love to chat about your idea. If you're looking for a condo website, you've come to the right place! Our condo sites offer issue tracking, private and public pages, news and articles, events, realty listings, classifieds and much more. This is a screenshot from the homepage of one of our condo website clients.